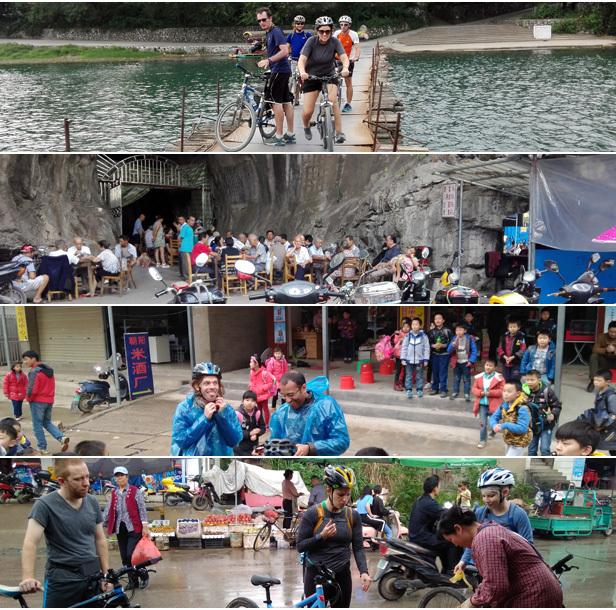 Tour Overview: This half-day bike tour is elaborately designed for those active travelers seeking unique experience of Guilin. 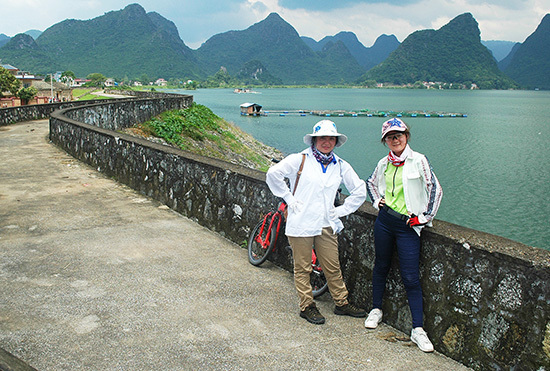 Unlike any regular tours provided by other local travel companies, you will ride mountain bikes to the rurality of Guilin, avoiding busy traffic and tourist flows, enjoying the view of stunning limestone hills, rice fields, old villages and zigzagging rivers. 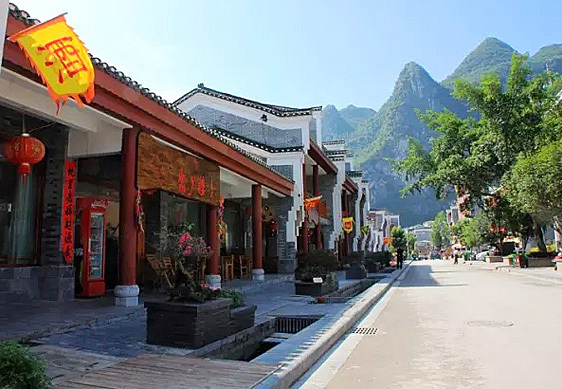 Enjoy the rice noodle lunch, a well-known local snack of Guilin. 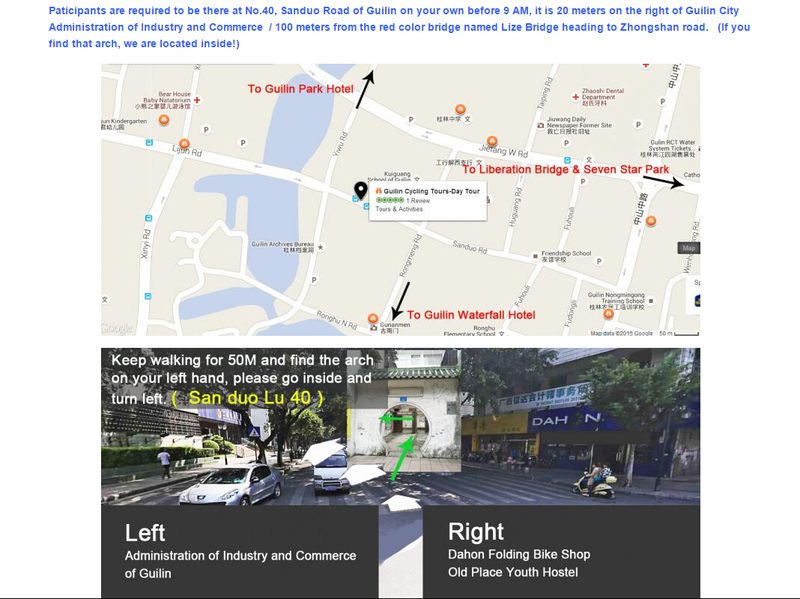 Join us for the 4-5 hour fun and rewarding trip on two wheels! 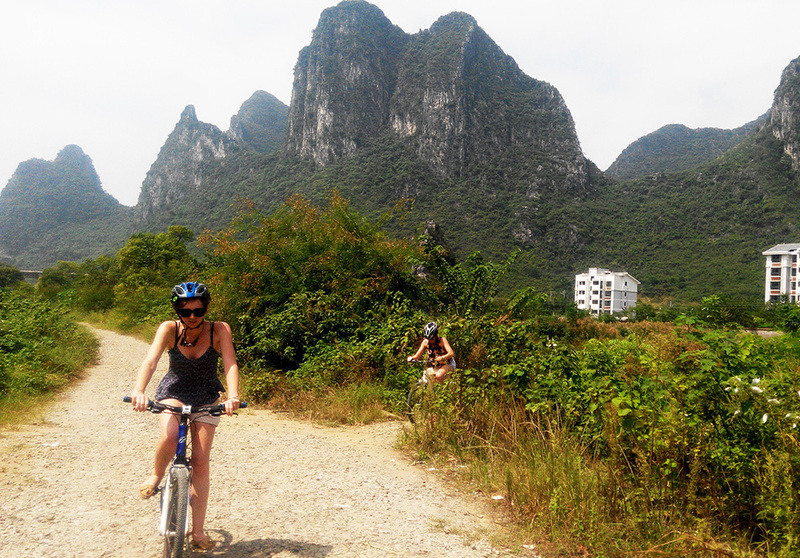 The one day tour (6-7 hour) with 3 attractions visiting in Guilin: Reed flute cave, Tea ceremony and Cable car to Yao MT. Duration: 1/2 Day, around 4-5 hours. 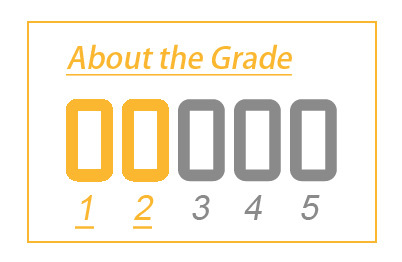 Grade 1.5: Easy and leisure for active travelers, who can cycle and control the bikes well. 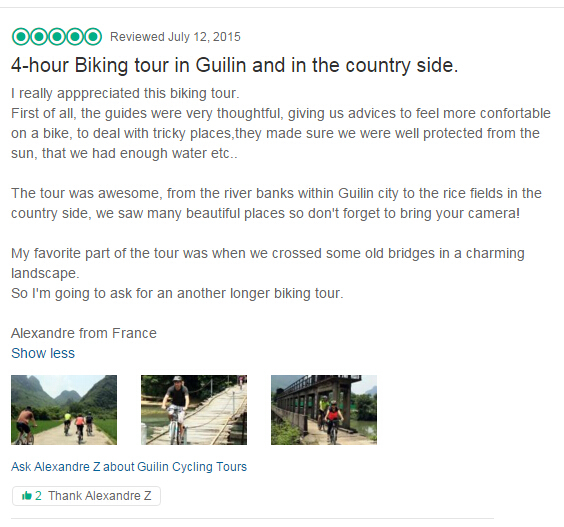 You can also finish the tour if you practiced a lot in gym and in normal fitness even with less cycling experiences. The cycle is mainly on flat with very little/no climb, usually the middle front gear is enough. 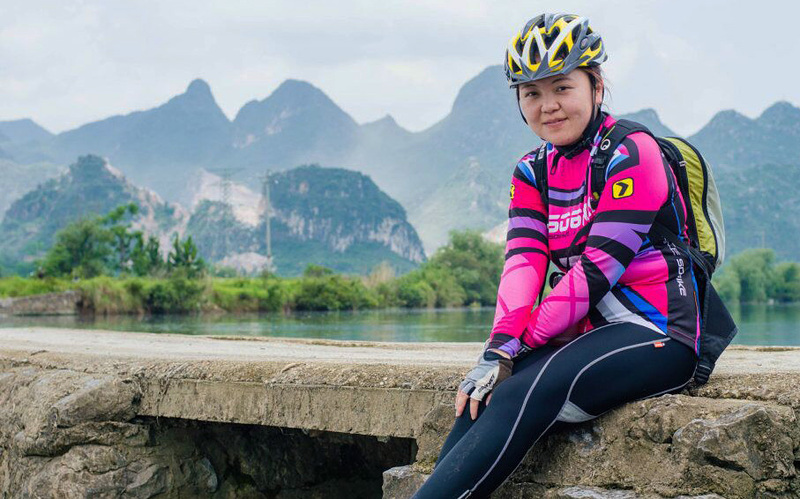 A mixture of paved and unpaved tracks is included, guests will experience the real mountain bike cycling but those sections are ok to be deleted if you are only interested in cycling on well-paved roads. Total cycle distance per day is less than 40KM.